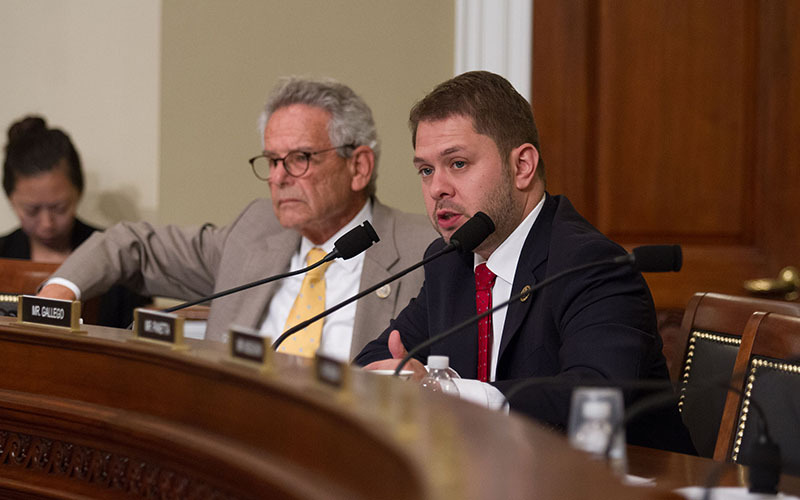 WASHINGTON – Republican and Democratic members of a House panel agreed Thursday that many factors have led to the rising number of wildfires in the U.S.
That was all they agreed on. “It’s real impacts, and it’s unfortunate that the federal government doesn’t have that same sense of urgency or that same understanding of what those real impacts are on individuals, stakeholders and the state itself when it comes to these wildfires,” Hallin said after the hearing by a House Natural Resources subcommittee. The title of the hearing by the Republican-controlled committee said it all: Oversight Hearing on Burdensome Litigation and Federal Bureaucratic Roadblocks to Manage Our Nation’s Overgrown, Fire-Prone National Forests. Lyle Laverty, president of the Laverty Group, a forest and natural resource consulting firm in Denver, pointed to the National Environmental Policy Act process as one piece of regulation that is leading to the mismanagement of forests. But Susan Jane M. Brown, who described herself as a “proud environmental litigator,” defended laws and regulations protecting the environment. She said it is possible for groups like the Western Environmental Law Center where she works to collaborate with loggers, miners and others. Climate change cannot be ignored, however, said Brown. That didn’t sit well with Republicans on the committee like Rep. Bruce Westerman, R-Arkansas, who said that forest fires in his state have either held level or seen a slight decrease over the past 20 years. “Apparently, the climate change hasn’t affected forest fires in my state,” Westerman said. When asked directly whether climate change was a major reason for the difficulty managing forests, all the witnesses agreed it is a contributing factor. But most said mismanagement was the biggest issue. Hallin pointed to forest overgrowth, citing “forests at the turn of the century that supported anywhere from 20 to 50 trees per acre, that today now support over 1,000 trees per acre,” potential fuel for a catastrophic wildfire. “While climate may be changing, and while those forests aren’t as resilient to respond to that climate change, the issue from our perspective is the fact that we haven’t been managing our forests correctly,” Hallin said. Witnesses and lawmakers both said one of the biggest constraints to proper management has been a lack of wildfire funding for the Forest Service, which has had to focus a majority of its money on fighting wildfires in recent years. “That comes at a cost to the other resource programs that can deal proactively with the forest health issues that are in front of us today,” Laverty said. 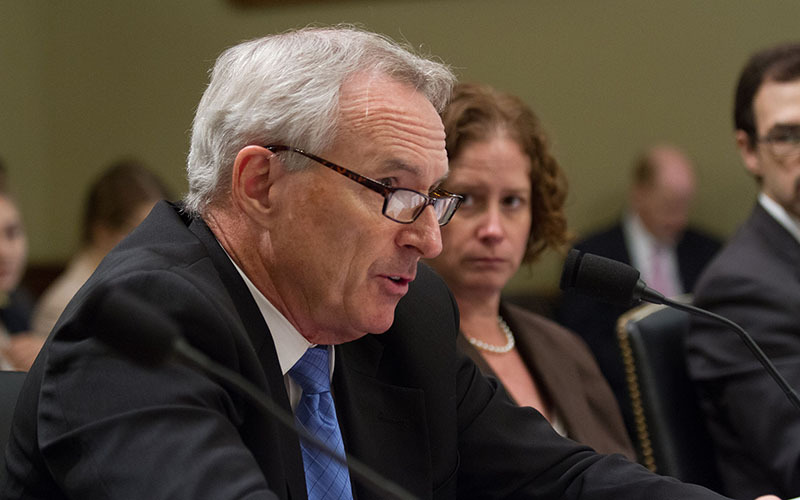 Hallin said the Forest Service also “lacks the ability to move swiftly and, at times, work cooperatively. Poor maintenance can lead to wildfires, which costs the communities where they occur, said Hallin, noting a wildfire near Sedona that cost the town an estimate $100 million in tourism revenue. 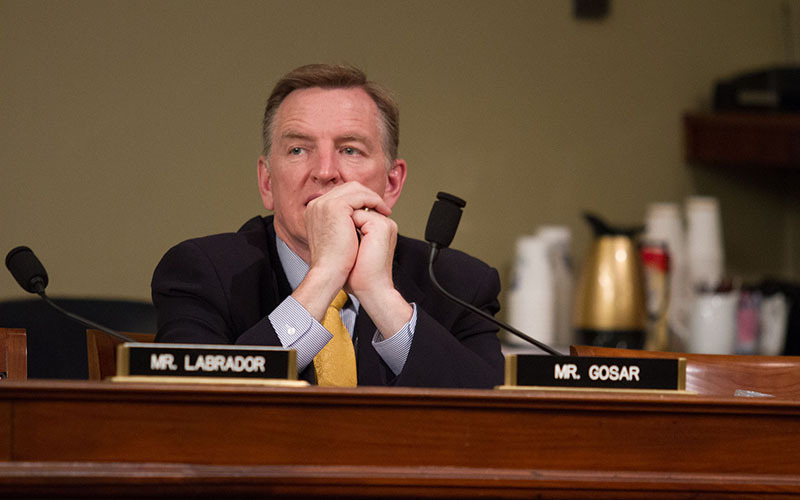 Rep. Paul Gosar, R-Prescott, asked what kind of effect proper management of forests would have on northern Arizona and rural communities. “That would have a significant impact in increased jobs, increasing those rural economies that are suffering right now because of the lack of jobs and lack of opportunity,” Hallin said.